can run more efficiently and effectively? SAP Fiori UX provides a beautiful user experience that is personalized, responsive and simple. It applies modern design principles for a completely re-imagined user experience. By blurring traditional computing boundaries and by using interactive and attractive UI elements, SAP Fiori UX provides a consistent end-to-end user experience and can be used across all device types. 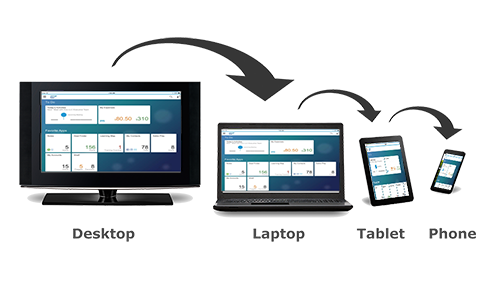 SAP Fiori allows employees to work seamlessly across devices – desktop, tablet, or smartphone. It provides improved user satisfaction, enables quicker approvals and promotes better business decisions. Helps drive efficiency and productivity of employees with a low TCO. Companies running SAP can now deploy SAP Fiori quickly and predictably and thus boost employee productivity and reduce total cost of ownership.